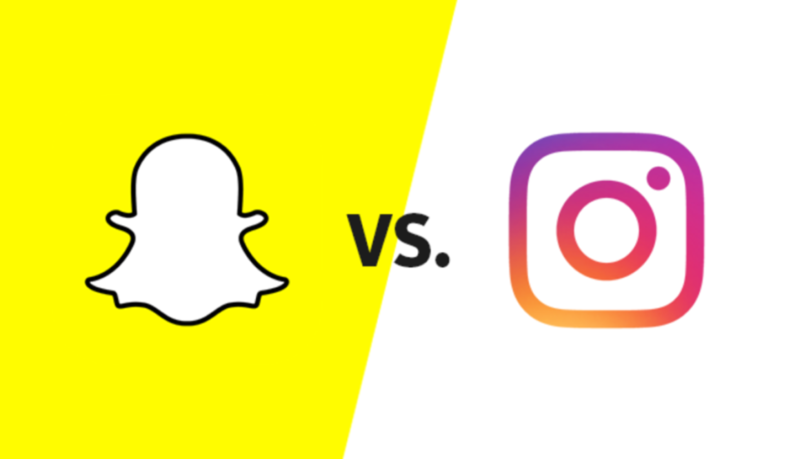 Instagram vs Snapchat: Which to Use to Improve Your Social Marketing Strategy? Instagram and Snapchat are very popular social media apps that attract 687 million daily active users. That’s a lot of people! So it’s super important to consider which one you should use to boost your social marketing campaign for your business. If you’re working at a small company and can’t justify spending your resources on both, which one do you choose? Since both platforms increasingly overlap in features, function, and advertising components, it can be hard to distinguish the unique elements that make one a better fit for your business. Here are 4 categories within both apps – you can decide for yourself what will work better for you! Instagram has 500 million daily active users, which is 3x as large as Snapchat! Instagram’s audience tend to be on Instagram 2x as much as Snapchat per day as well. Snapchat is good for quick stories and it’s great for a younger demographic. Instagram on the other hand is geared more towards users between 19-30 years old. If your ideal audience is an older demographic, or if you haven’t fully established your brand and want to reach as many people as possible, Instagram might be a better long-term fit, especially since you can use hashtags which means your brand will become more noticeable, more quickly. Although Instagram has tried to create nearly identical filters to Snapchat on Instagram Stories, Snapchat’s filters are still unbeatable. Snapchat is especially unique when it comes to filter animations: if you use the dog filter on Snapchat, you don’t just look like a dog, you also move like one. If you stick out your tongue, it wags like a dog’s tongue. Instagram not only has a better design, but once you begin viewing someone’s story on Instagram, it automatically continues to the next person’s story, which means that, unless you click out of it, you will view everyones story. I notice for myself that I get 2x as many story views on Instagram vs Snapchat. Most of your Instagram followers will see your story simply because they were already in the feature, making it more ideal from a business perspective. With Snapchat, viewers are asked if they want to view the next person’s story. Your followers have the option to click past your story without opening it, which isn’t ideal for your business. Also, Instagram now offers “story highlights” which can stay on your profile as long as you wish. This means that it gives your audience a longer time to view your story. Snapchat stories only lasts 24 hours. Snapchat doesn’t really offer many advertisement options. Instagram ads have prove to be quite effective: at least 30% of Instagram users have purchased a product they first saw on Instagram. Not only are the ads effective, but they don’t cost much! You can do as little as $1.00 for a day or $5.00 a day for a week. It’s up to you and what you’re looking for. You can also run Instagram ads, and measure results, within Facebook’s Ad Manager,which is especially convenient if your business also uses Facebook as an advertising platform. In essence, A/B testing is a way to measure two versions of something to see which is more successful. Think about it this way: When you and your friend are coming home from your favorite coffee shop, you might discuss what route is the fastest way to get home. You might take one route that day and the next time you go to that same spot, maybe you’ll decide to try the other route and find out which one is fastest. It’s essentially a way to compare two similar things and figure out what’s the best way. 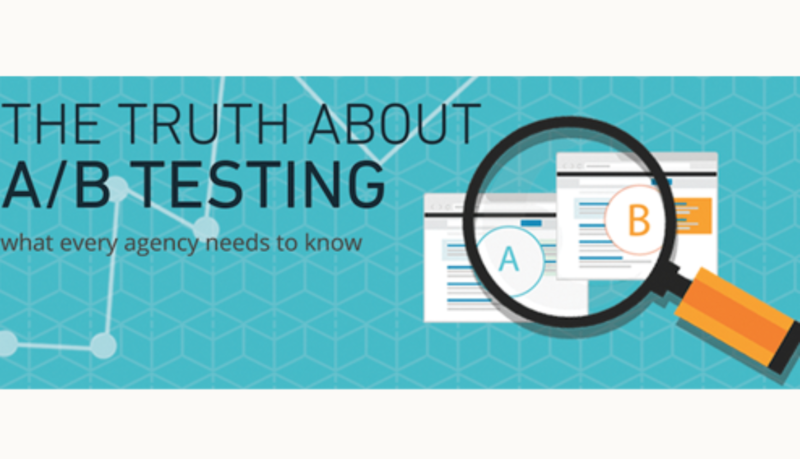 When it comes to social media, A/B testing works in the same way. When you look at the comparison of two similar tweets, you would like to see that one of the posts has a significant edge in a particular stat. 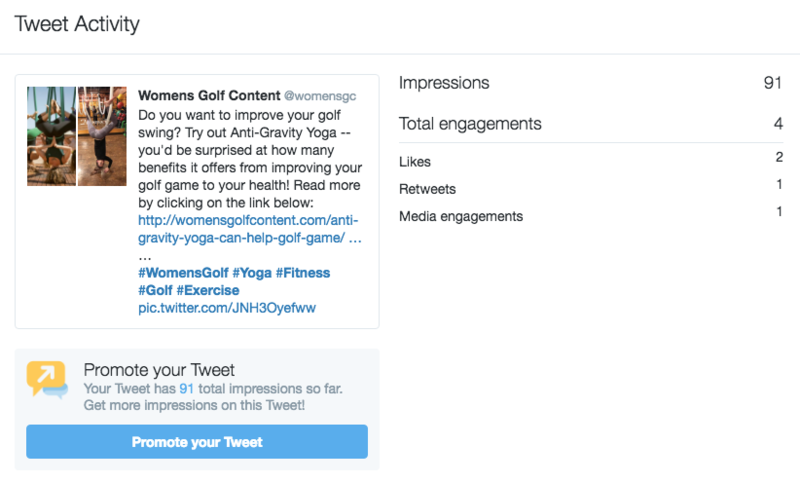 I did an A/B test on my twitter to show you an example of what I’m talking about. In the example above, the first tweet’s success with retweets, favorites, mentions, and potential indicated that it might be a better headline than the first. 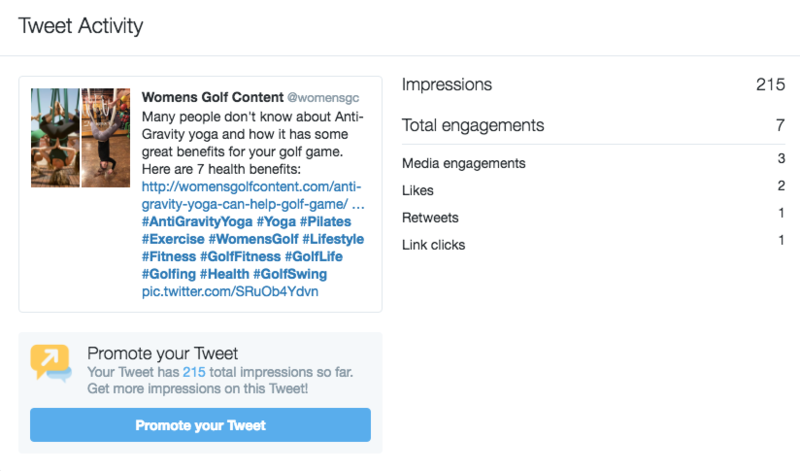 Retweets and clicks are both useful metrics to observe, and we don’t necessarily like one more than another. Retweets are a great signal to us that people find the headline worth sharing with their own audience, and clicks are a helpful indicator that the headline drives curiosity enough to clickthrough and read. In some ways, retweets and clicks tell us a headline’s popularity or even an image’s popularity. Of course, it might also be best to point out that A/B tests on social media are not perfect. The varying times of day, the hashtags we use and other significant variables can affect our tests as well. In order to keep it consistent, it would be wise to test your tweets at the same time of the day if possible. In the end, A/B testing gives us an insight into what works and what doesn’t to get engagement from our followers. Images and links to the topic you’re talking about is SO important when it comes to marketing your products or blog posts. It’s a lot more visually appealing than a boring one sentence tweet with a bunch of hashtags. Also, including a link to either your product page or website will help drive more traffic and increase conversion rates. Social media scientist Dan Zarrella found in research prior to this change that Tweets using pic.twitter.com links were 94% more likely to be Retweeted. That’s a pretty high number, don’t you think? Try it out and see how it works for you. It’s relatively easy to figure out and it just might help your company or blog in the long run. This past year, the National Retail Federation (NRF) Halloween Consumer Spending Survey showed that more Americans than ever before are planning on spending money on Halloween costumes. More than 67.4% of people will be buying Halloween costumes for the holiday, which makes up the biggest percentage in 11 years. This upcoming Halloween, the average person will spend $77.52 compared to last year’s $75.03. 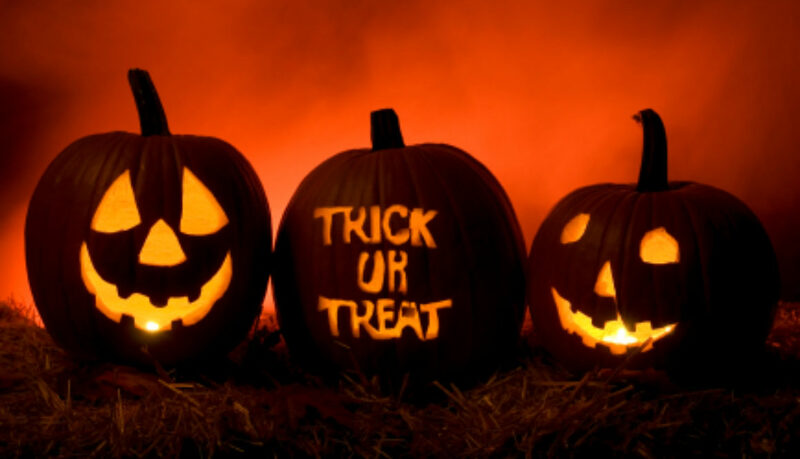 In total, based on quantitative research, this Halloween will reach a total of $7.4 billion! A total of $2.8 billion will be spent on costumes overall, while $1.1 billion is projected to be spent on children’s costumes. As for family pets, $350 million will be spent for furry friends! In addition, candy and greeting cards will be high on the list with a total of $2.2 billion. As for growing social media, Pinterest will be one of the main social media platforms that will be accessed this year for Halloween costume ideas as well as decoration ideas for homes. The survey found that 11.4% of Americans will turn to Pinterest, which ups last years’ 9.3%. NRF’s goal in conducting this survey was to gauge consumer behavior and shopping trends that are related to Halloween spending. Approximately 6,332 consumers were involved in the survey. Whether you use social media for personal or professional reasons, it is important to know how to properly use it. If you do not have guidelines on how to communicate using social media, there could be serious consequences. Everything and anything you post on social media is there and will stay there forever. You may not realize it while you’re posting an impulsive rant regarding your boss, or an inappropriate comment towards a friend that may be end up being taken the wrong way. What you say and post on social media can always be used against you- and it will haunt you forever. It is important to realize that everything you post will be seen by your future boss, your clients, partners, voters and many other important people in your life. Before you post something on social media, think to yourself, “Would I say this in front of my grandparents?” or, “Would I show this photo to my boss?” If the answer to either or both of these questions is a flat out no, then you have your answer. In order to protect yourself from anything embarrassing getting out with your name on it, you must set boundaries (personally and professionally). So how do I set boundaries for myself when it comes to social media? First of all, be professional. When you are applying for a job, or even in the processing of heavily networking yourself to professionals, it is important that they recognize you from your online picture. That being said, make sure that all of your social media sites (Facebook, Instagram, Twitter, etc.) all have a professional, nice photo of you featured as your profile picture. A business colleague or potential boss will not respect you or even give you the time of day if they get on to your Facebook page and see an inappropriate and unprofessional photo of you. Make a good first impression on all social media accounts. Next, it is vital that you introduce yourself in a positive way. All of the content that you post on your social media accounts heavily represents who you are as a person. Post interesting and value-added content to showcase your expertise and interests. Every social media page is an opportunity to network yourself- use it wisely! If you are within the business world, you must have a Linkedin page. Potential clients, bosses and colleagues will head straight to your Linkedin page to check out who you are and what you have done. If you are connecting with someone via Linkedin, it is a smart idea to always personalize the message when you are connecting. If you do not personalize your messages, you will most likely not be viewed as authentic. Being authentic is extremely important when it comes to landing that dream job. Personalizing the message to connect will allow for the person you are connecting to to realize that you truly are interested in what they do and want to learn more about it. Lastly, always be sure to add your two cents in to professional conversations going on with people you are connected to. If you are interested in a certain business, company or even a professional person, listen to what they are saying on their social media accounts, and add to it! By adding your value to the post, you are showing that you want to build a business relationship with them. All in all, you would never show up to a professional business dinner in sweatpants, because you want to be sure to put your best foot forward. Think of social media as the same idea- always putting your best foot forward to be looked at in a positive light! 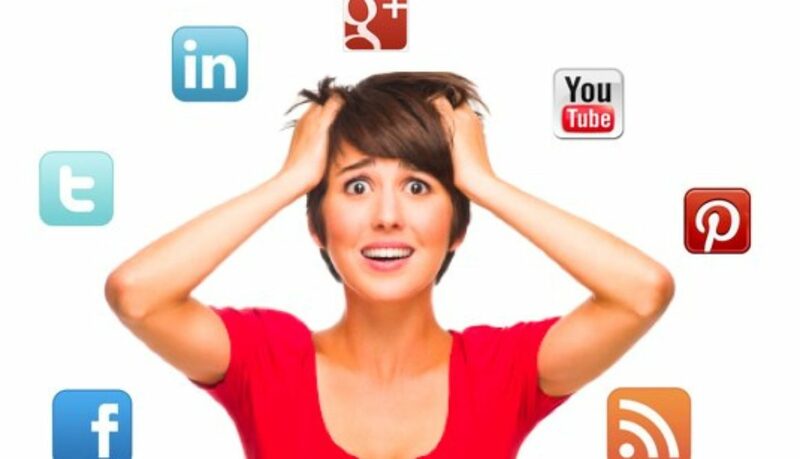 To learn more about social media etiquette, visit Quirk’s blog writer, Margaret Page’s blogs! A company is not going to be successful if their specific target audience is not reached. This is important because reaching your target audience means getting their attention, and getting their attention makes them notice you, thus allowing for a successful company. If you are unaware of who your audience is and what they are looking for, success will be unlikely. If you are unsure of how to narrow down your target audience, there are ways you can figure it out. Look at your business as a whole and see what types of people your business can influence the most. Then, take a look at what types of people will help your company to grow and meet your objectives. Once you can discuss these as a group and come to a conclusion, you will have your target audience. Without reaching your target audience, it will be unlikely to market anything having to do with your business. If you’re reaching out to the wrong people, although there may be some results, customer sustainability and long term success will be difficult. Targeting the right groups will allow for products to reach people of the right interests and hopefully create a stronger market going forward. In order to keep your company running, it is vital that you have a successful brand. A brand consists of not only the logo of the company, but also how employees and executives conduct themselves within the company. Forbes Magazine discusses the 7 important steps to having a successful brand. 1. Create the right tagline. It is important to sit down with all of your team members and discuss how you want the public to view your company, and what you want to put out to the public that will make them think of you. Your tagline allows you to control how you want your audience to emotionally react and what you want them to remember about you. 2. Stand out from the crowd. Figure out who your target audience is. Look at what other companies are targeting that audience and figure out how you can express your company in a more creative and unique way. 3. Develop your company culture. Discuss what you want the culture of your company to be, and from there hire people who will only help to develop that culture in a positive way. This is important because you do not want your client relationships to be destroyed because of a negative employee. 4. Be patient when it comes to the development of your brand. Although you want your brand to be immediately successful, it is important to remember that good things take time. Do not rush the PR, advertising or marketing of your company; take it slow and it will grow to be successful in time. 5. Be consistent. When it comes to finding a public relations specialist, advertiser or salesperson to represent your company, make sure to be consistent. Once you find a team that represents you the way you like, be consistent with them instead of switching around. 6. Get help for your brand. If you are ever confused, overwhelmed, or just feel you could use some advice, do not be afraid to ask. There are many professionals out there who have successfully developed a brand- utilize them! 7. Put the people first. Make it known to the public that your company wants what the people want. This will show that your company is people-oriented, therefore allowing your target audience to realize that your company actually does care about them and wants to know how they feel. Click here to get more information on these seven tips as well as to get information on writer, Raoul Davis and the Young Entrepreneur Council! Ever find your marketing strategies to not be working? It is important to reflect on your marketing strategies to make your company more successful. Eric Siu explains five top ways to improve your marketing efforts. 1. Ask if your execution is consistent. According to the Aberdeen Group, 32% of marketers said that they feel that they are effectively executing enough content. This means that the majority of the marketers are not getting their content across. It is important to follow up on your marketing in order allow consumers to stay engaged. 2. Ask if your content is relevant. If you are marketing material that is not relevant, most people will not be interested in the content and therefore your marketing will not be successful. It is important to keep in mind of the timing of your content. 3. Ask if you are promoting on the right channels. Nowadays, it is easiest to market your company through channels that are popular such as Facebook, Twitter or other social medias. If you are targeting teenage boys, chances are you will not reach them through the radio. Look into what your target audience uses to receive information. 4. Ask if you are listening to your audience. 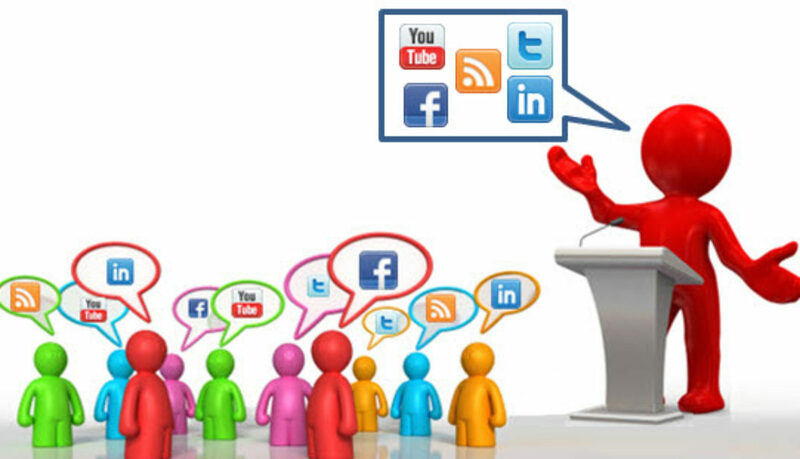 When marketing, it is vital that you give your target audience what they want to hear. This can be done by forming a relationship with your target audience, allowing them to provide feedback towards your company. 5. Ask what your competitors are doing right. It is important to be aware of your weaknesses so that you can look at your competitors and find out what it is that they are doing that you are not. Your competitors can teach you how to improve your company and your marketing efforts. To learn more about these five tips and how you can improve your marketing efforts, click here. Why is it important to know how consumers spend their time on social networks? In order for your company’s social efforts to match your customers’ behaviors, you must know the hottest websites that your consumers are constantly using. Phil Mershon, director of events for Social Media Examiner, found the top tips on how to engage your target audience through new social media research studies. #1: Know Where Your Customers Spend Their Time: It is beneficial for company’s to look into where their target audience spends the most time online. This is important because it allows you to keep up with your social media, emailing and other marketing strategies that best reach your target audience. #2: Find Content That Will Resonate Deeply With Your Audience: In order to keep your audience engaged, it is vital that you keep up with hot cultural topics and write and advertise about things that your audience has a high interest in. As long as you are keeping your consumers on their toes, they will continue to be loyal to your brand or company. #3: Focus on Facebook- It’s Where Consumers Spend Most of Their Online Social Time: Facebook is one of the biggest and most popular social media sites to date. Advertising and reaching consumers through Facebook is vital to your company’s success. Facebook reaches out to consumers of all ages, therefore anything you post will most likely be seen by many different types of audiences. While other social media sites such as Twitter, Pinterest or Instagram are also important for a company’s success, Facebook is definitely a must. #4: It’s Time to Take Video Seriously: There has been a major increase in the past couple of years regarding how much video content consumers are watching on a daily basis. People are extremely visual, and while reading content is very informative, sometimes watching content can stick more with a consumer. #5: Consider the Role of Mobile: It is no secret that smart phones are taking over today’s society. It is extremely important that your company’s website is mobile-optimized so that consumers can access your information wherever they are. If the information you are trying to get out can be accessed through a mobile device, consumers will be able to have that information with them on a daily basis. To get more information and statistics on these top 5 tips by Phil Mershon, click here. New England Publishing Group, the home of New England Golf Monthly and New England HomeFinder, will be launching a new corporate website in November, 2011. YES — TIGER’S BACK !